It comes in a retractable stick. The bottom of the stick is twistable so you can twist the bottom to get more product. Although it says it's a gloss bar, I find it like more towards a balm, like a tinted lip balm. It's not as balmy as Nivea lip balm though. 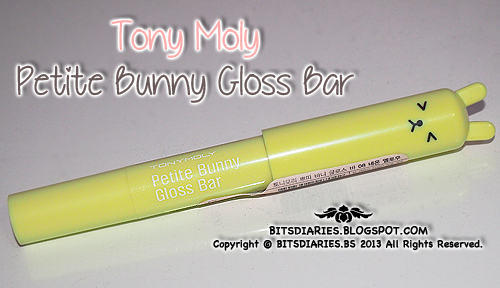 It leaves a slight glossy look but it's not as glossy as a lip gloss or a lip balm. The color of #08 is pretty interesting! 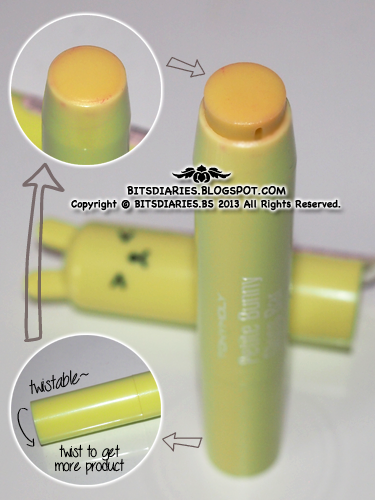 It's yellow in the tube but when apply on lips, it turns into a very lovely shade of pink. The color is pretty sheer(low pigmentation) and can be built up but only slightly. The color is very sheer however, it is buildable. You can compared the color of 1 swipe with the color of 4 swipes. I find it not as moisturizing as Nivea lip balm. If you have dried and chapped lips like I do, few hours after application, the color kind of runs into the cracks and makes the dried and chapped lips looks more obvious. 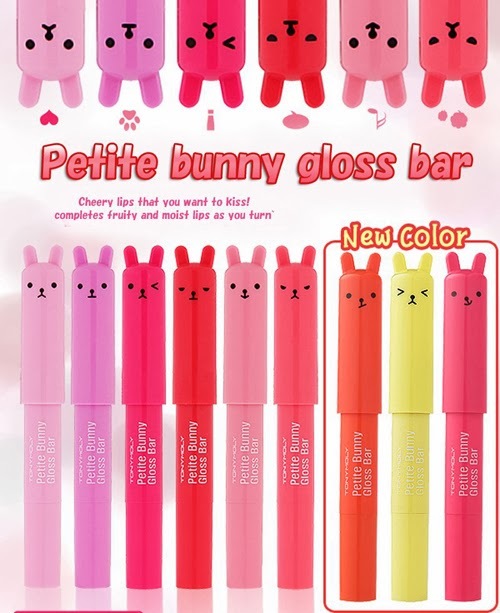 That's what happened to me so what I usually do is that I will put on a layer of Nivea lip balm on my lips prior to application of this Petite Bunny Gloss Bar. On a positive note, it's not very drying like a lipstick. The moisturizing level is somewhere in between a lipstick and a lip balm. The color does last except if you eat or drink. Yes, it does come off pretty easily when you eat or drink. I usually have to re-apply it after eating or drinking. - lousy twisting function; once the product got twisted-up, it can't be twisted back into the stick! Verdict: So, I got the #08 Neon Yellow mainly because it doesn't have too much scent. 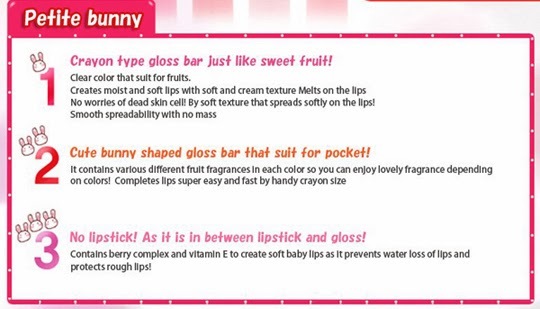 I actually hate sweet fruity scented lips product. 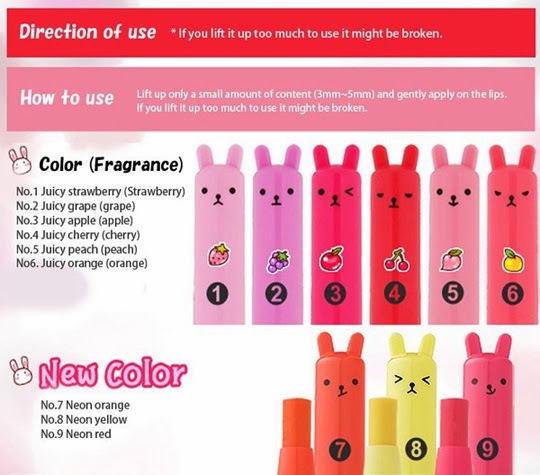 I prefer a mild and natural scented or scent-less lips product~~ Currently, this is one of my favorite lips product. The color is not too bold and it gives a soft natural look which is why I like it so much! Even though it's not as moisturizing as I would like it to be, by applying a layer of Nivea lip balm prior to application of this gloss bar will fix the problem. 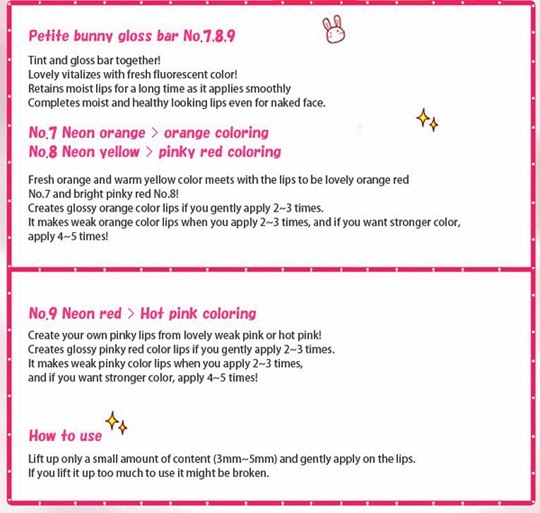 People who like a soft and sheer natural looking lip color, you might want to give this a try. I love natural scented lip products too. Strong scent is definitely a no-no! Anyway, thanks for sharing. Love the new neon colours. Though neons are hit during summer but yeah. If you can pull it off, why not?